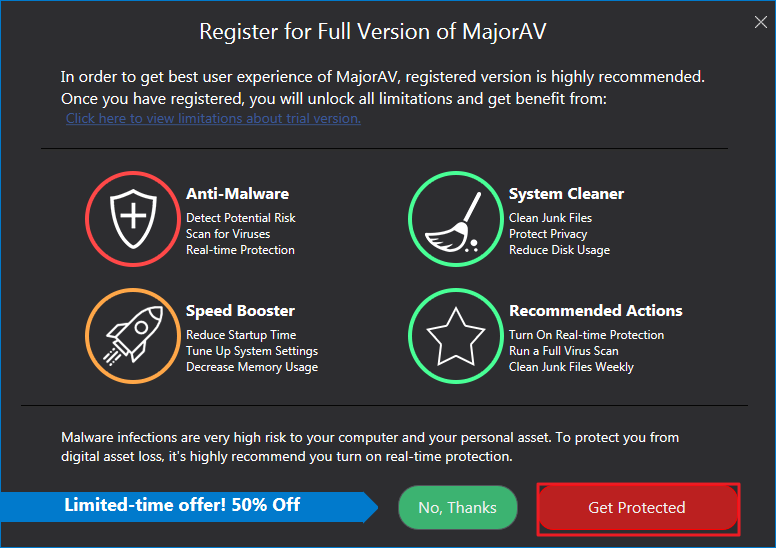 To use full function of MajorAV, please use the license to activate it. Click the "Activate Now" button. Click the "Get Protected" button.. 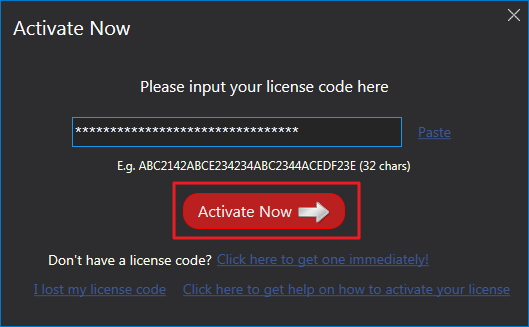 Enter your license key and click the "Activate Now" button..
MajorAV should be activated now, enjoy it! What Exactly Is A License Key? 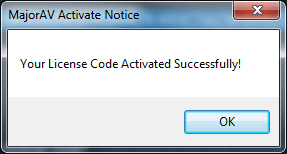 My License Key Didn't Work, What Can I Do? 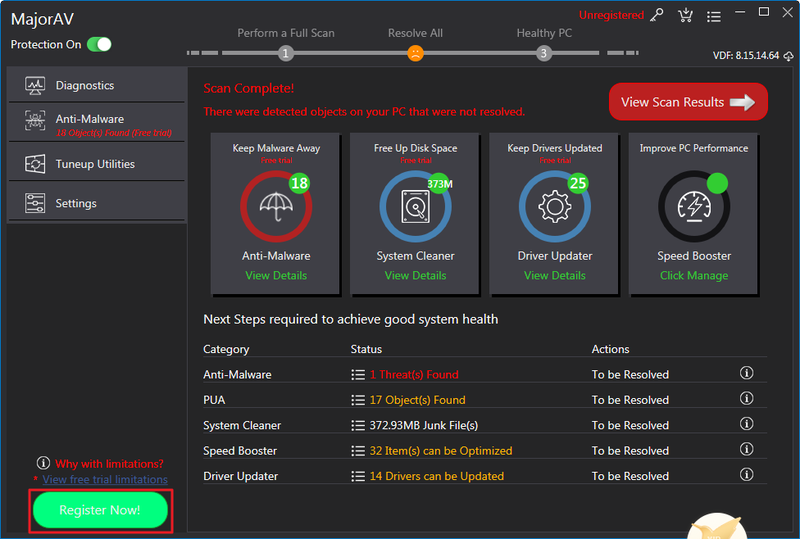 Can I Use The Same License Key On Both My Desktop And Laptop? How Long Will I Get My License? Will You Recharge My Card Automatically When My License Key Expires?